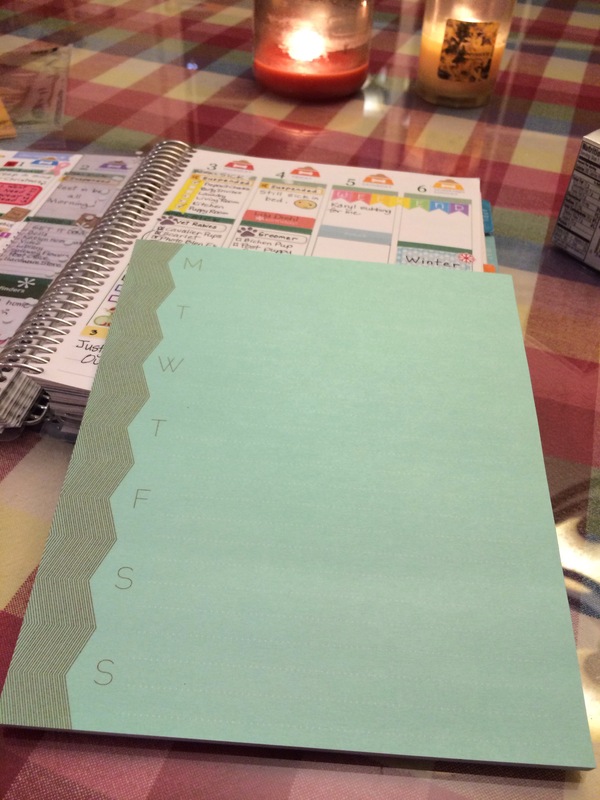 One of these days I’ll upgrade my phone and get the Periscope App, and share planner stuff in style, but for now, I’ll do my first “Plan With Me” right here on my blog! It wasn’t long ago when I learned about using a weekly large sticky note to jot down upcoming events, appointments, and ideas. 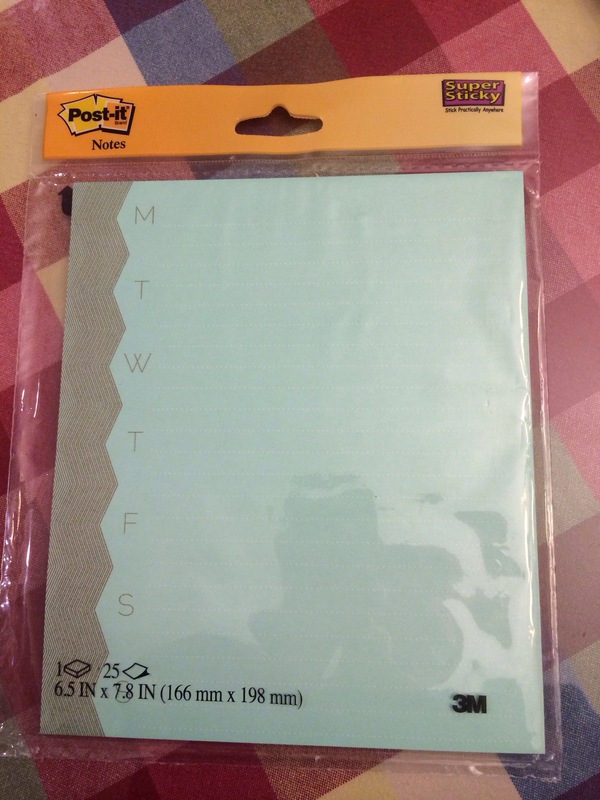 I had been using sticky note flags and I always had this worry that one might fall out and I’d forget or lose one of my notes. I don’t worry any more because I’ve attached a large sticky note to each of my weeks in the planner. This does not add a lot of extra bulk and I have done this for 3 weeks now, and I’ll never go back to the tiny notes. I call this my “scribble sheet”, and it allows me to scribble things down quickly with any old pen, and I can add “maybe” events as well as “for sure” events without worrying about plans changing. Everything can land on the scribble sheet without much thought, allowing me to see and contemplate what the final schedule will be. By having a sheet on every weekly layout, I can do significant future planning, just jotting everything down, without needing to cull my activities until closer to the actual date things are happening. This provides so much freedom for my brain because I can wait to make final decisions until closer to the event, allowing for schedule changes or accommodating things that may come up, like sick kids, or needed family time instead of another event. 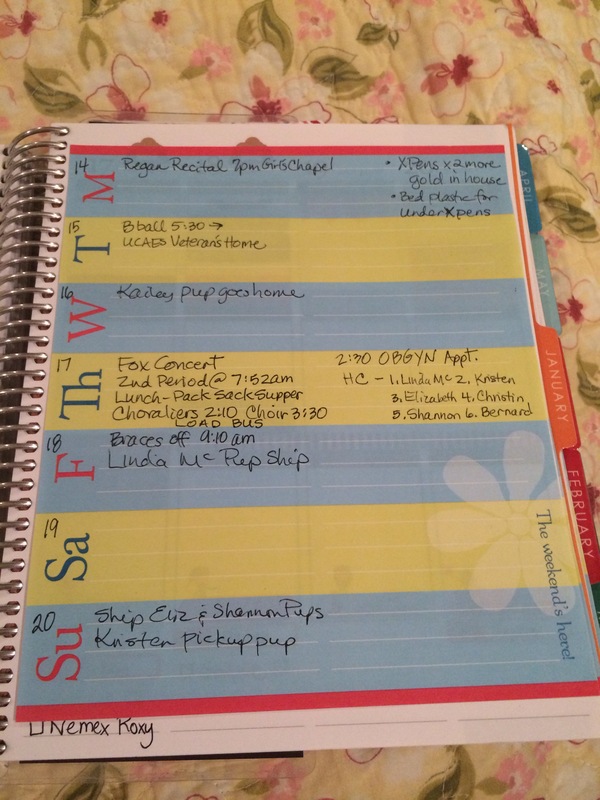 On Sundays, I pull my scribble sheet off my weekly layout and I begin to add my activities and appointments. This is my sheet for Dec 21-27, 2015. With it being Christmas vacation and Christmas week, there wasn’t actually very much to add. 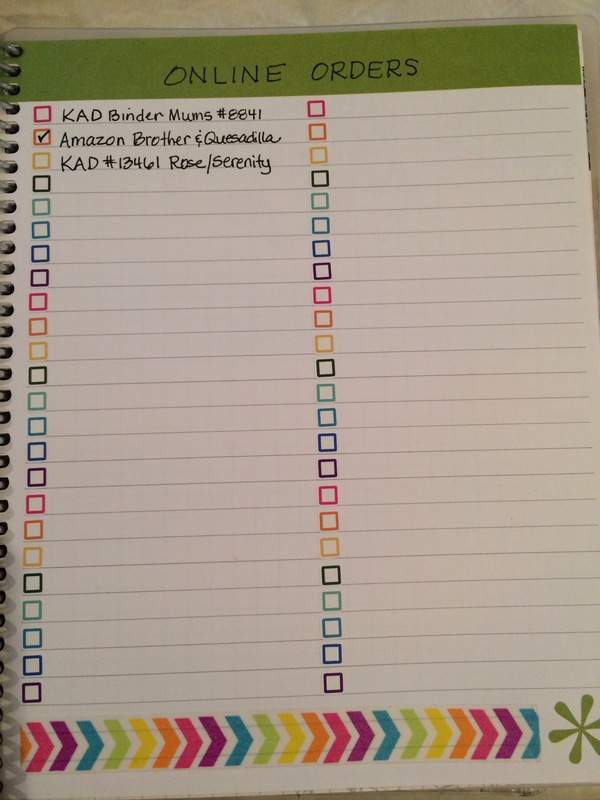 This is my planner BEFORE adding anything. 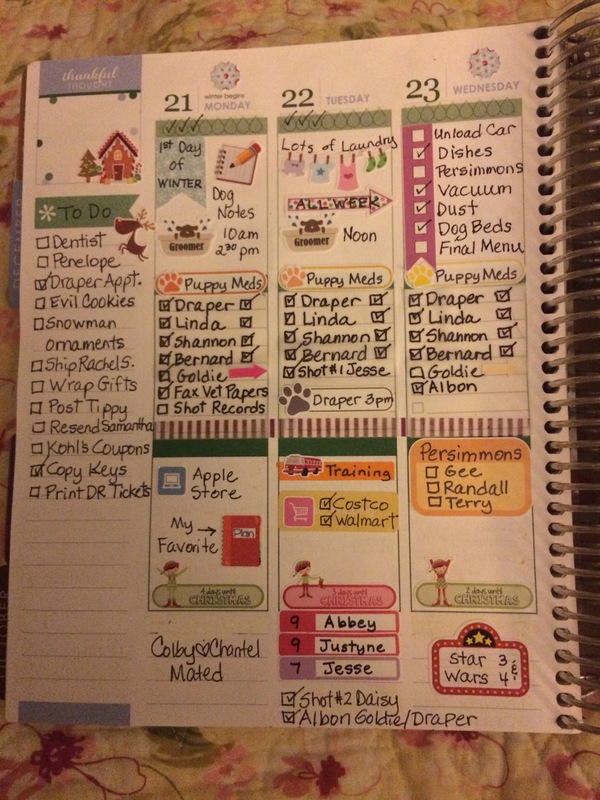 There are some things that get added along the way, so my week is never really a blank slate when I add my scribble sheet. For any events or activities or to do’s that I know are already set in stone, I usually just add those randomly as they happen, and don’t wait till Sunday to put them in. 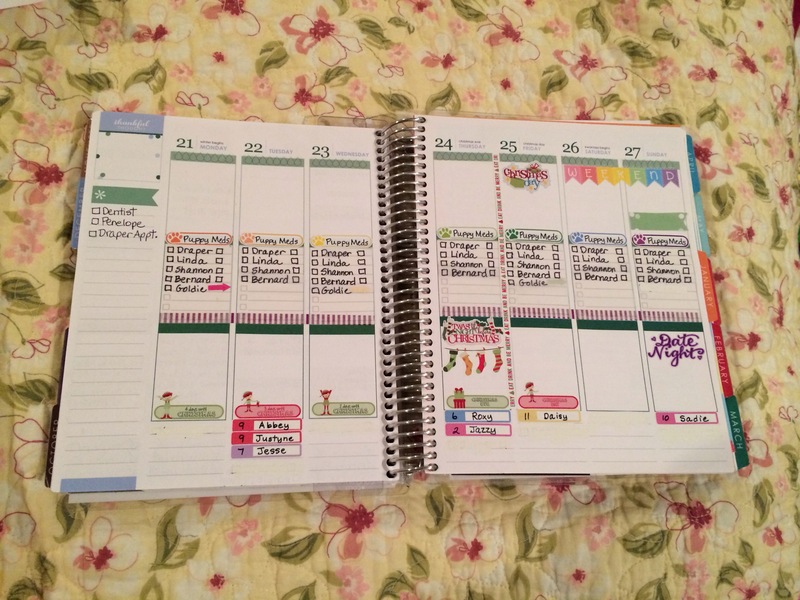 In the above photo, the very first thing I did when I got my planner was add all my rainbow weekend stickers, so those were already there. The day after Thanksgiving, I added my Krissyanne Designs (www.krissyanne.com) Christmas countdown stickers, so those were already there as well. I also added along the way, a few Christmas decor stickers just because, so those were also already in place. Last Friday, I had a few puppies that were going to need medication all week, so I took the time to add all that information because I knew it HAD to be done, so it needed a prominent placement in my days and week. 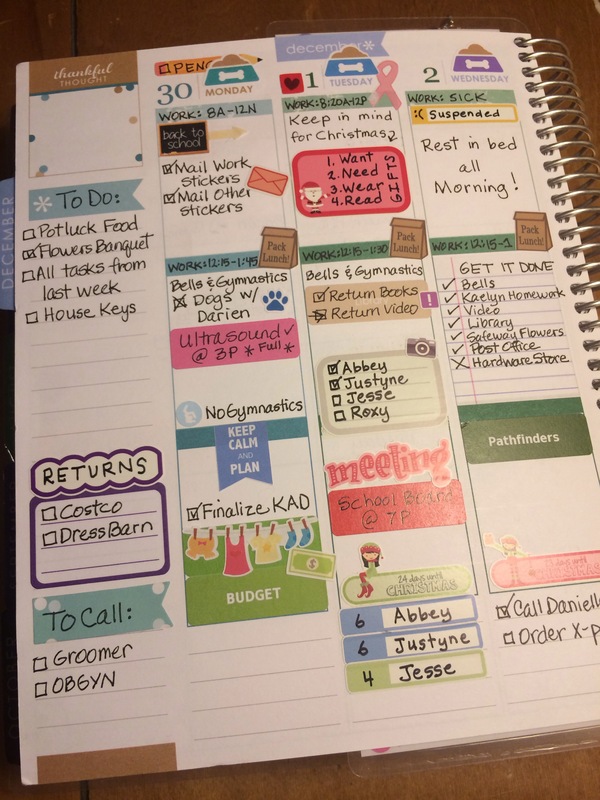 Having a planner is all about managing your time and being more productive, so getting the most important things into your schedule first, allow you to prioritize and accomplish those things that are most important in your life. Now, with the space still available, I began to add the things off my scribble list. I get a little worried when the week is so full even before the week begins. 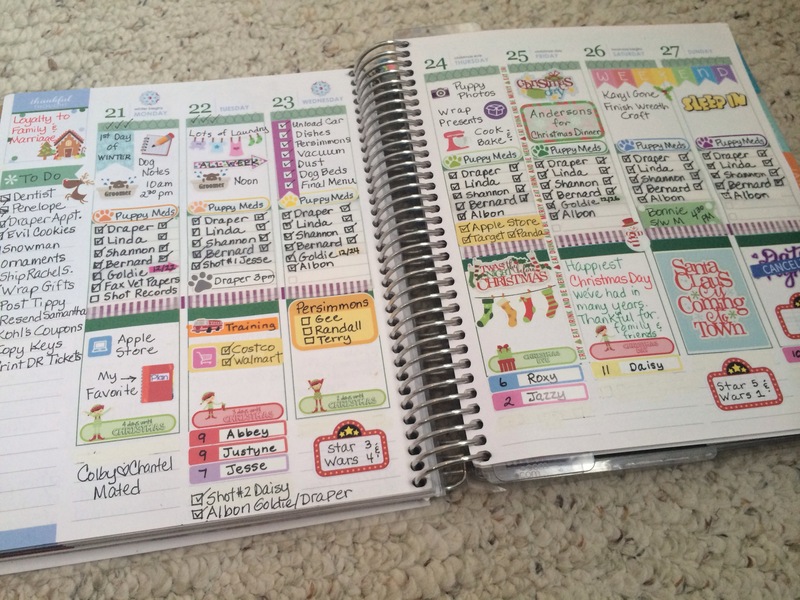 Plans tend to shift and change, and that is much harder to do when the schedule is already packed. 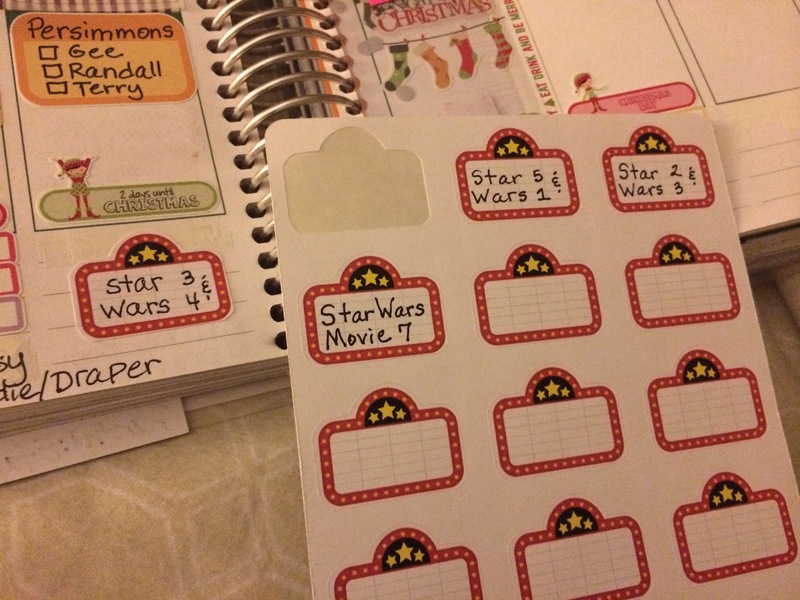 The movie stickers are from “The Pretty Planner” on Etsy. We are in the midst of a Star Wars marathon so we can have the story fresh in our minds before seeing the new one in the theatre! This is what it looked like after I added everything from my scribble sheet! 2nd half of the week. 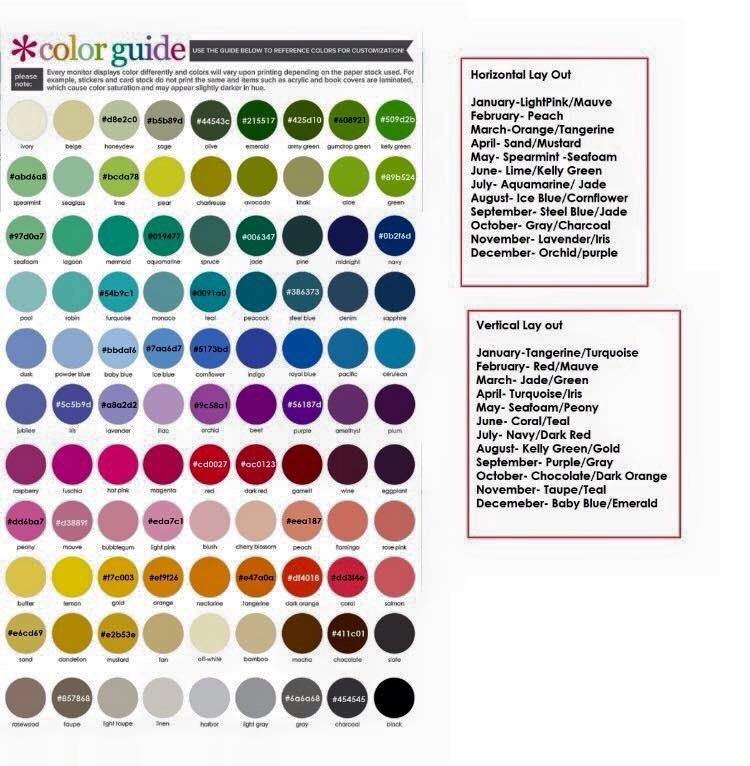 Next year I’m going to try and make Christmas week a little more festive with a LOT more green and red! This is the final layout. We didn’t get all of the persimmons delivered and we watched “Terminator” on Sunday (which I did not enjoy at all). And the week was basically overrun with dog chores, but it was the best Christmas day we’ve had in a while, and I was thankful for my family and our friends that spent the day with us. 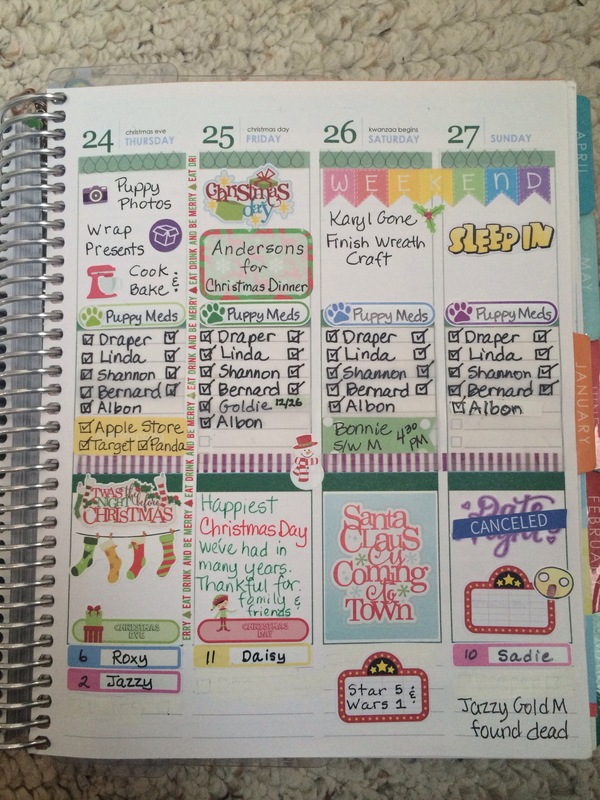 I don’t have one myself…yet…but I will have the new Erin Condren Hourly planner when the new 18 month ones come out in June. 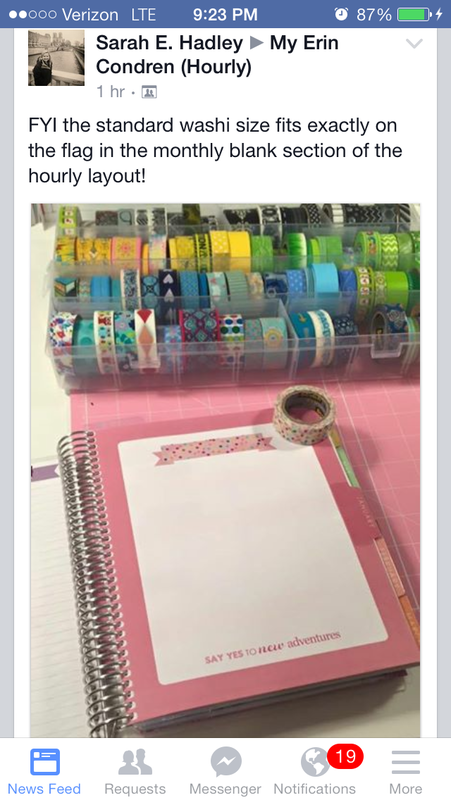 In the meantime, I am gathering all the info I possibly can, and even started a new Facebook group for this layout specifically, called “My Erin Condren (Hourly)”! Today, this was shared in the group and I felt it was worthy of finding a place in the blog! 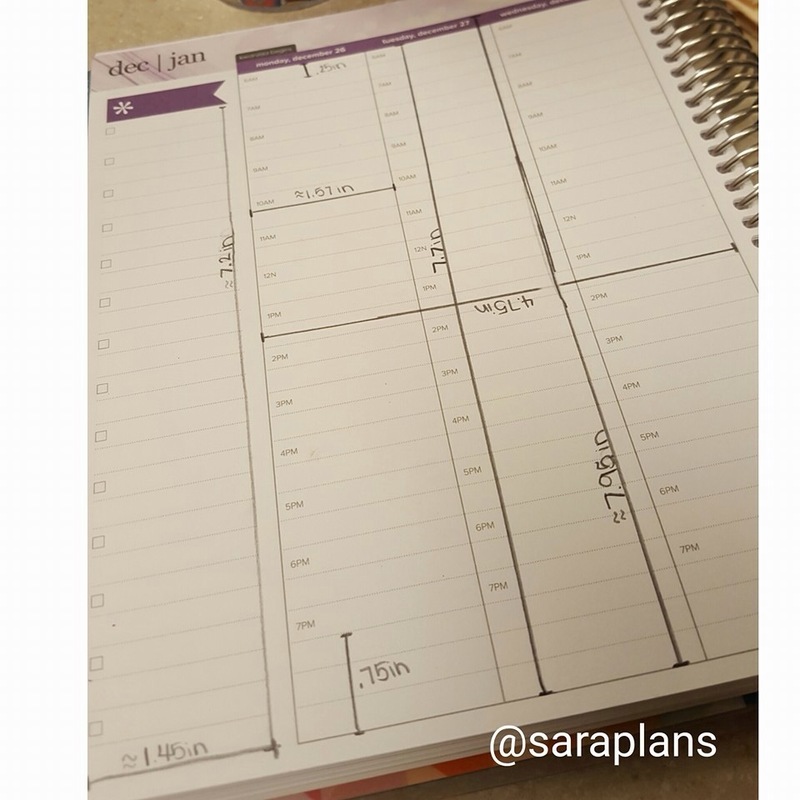 Thank you, Sarah, for sharing this great tip!! I wish I could take the credit for thinking of this, but someone else shared it in one of the MyEC groups and I don’t remember who it was! 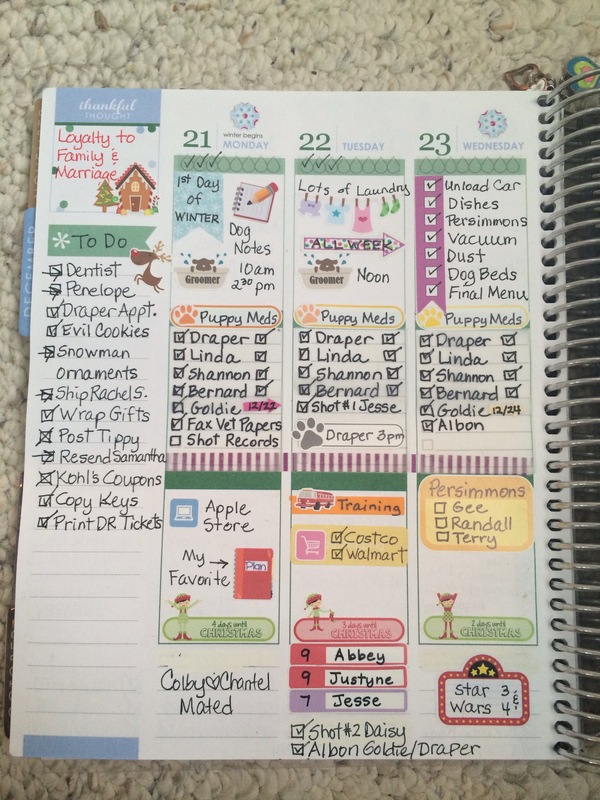 Instead of using tiny sticky note flags to mark upcoming events, this gal shared that she used a Target weekly notepad and attached it to her upcoming weekly pages with Washi tape (which is removable), and used that to scribble down the things in her schedule that weren’t set in stone yet, or at times when she didn’t have her planning supplies with her. 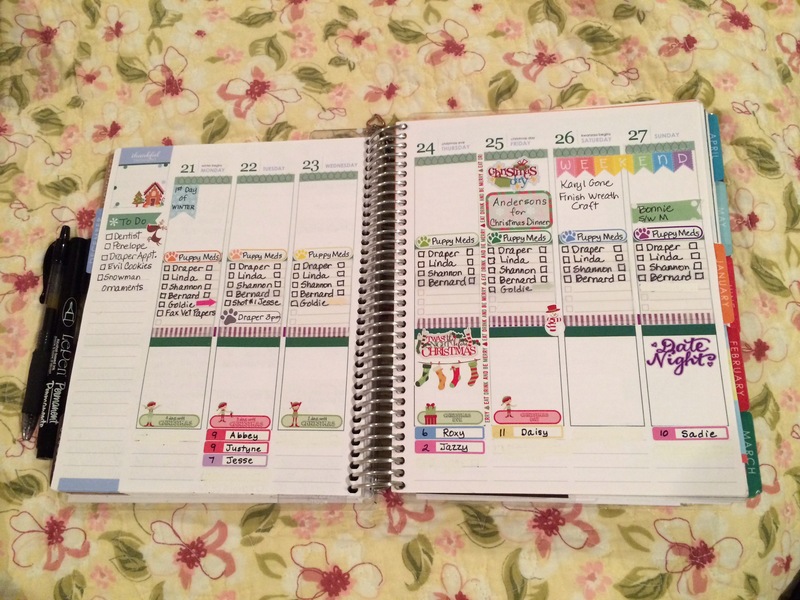 This allowed for quick planning, without worrying about the layout or having to erase or delete something. 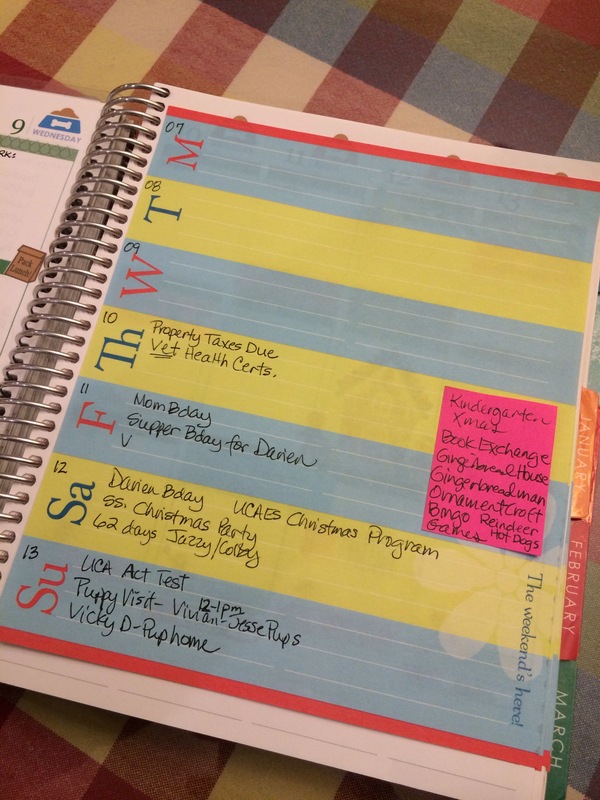 This idea totally resonated with me and I took it one step further and used a large weekly sticky note and placed one in each weekly layout for the entire year! It did not add too much bulk and I’m already using this space every single day for upcoming appointments and events. I love that I can scribble with whatever pen I have, and I can write down even those things that may not actually end up on my schedule. I went right out and bought a couple more pads at Target, and I ordered a few from Amazon! I’m all set for the entire year now, and I have no worries that a tiny page flag will lose its stick and fall out before I write the event in the actual planner. 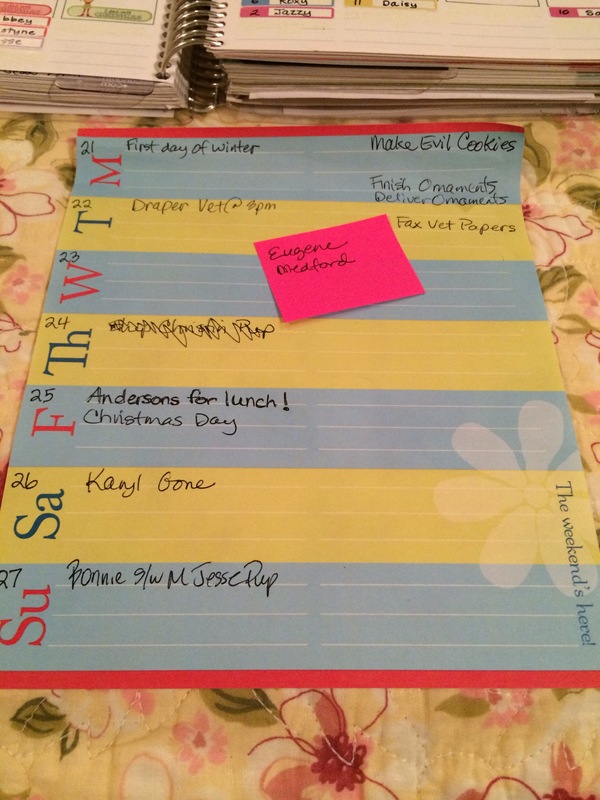 This will also allow me to do the major planning all at once on Sunday evenings, and when I’m done, I will simply remove the large sheet and throw it away! Do you ever forget what you ordered online? Or end up not being sure if everything you ordered has arrived or not? This has been a problem for me but today I came up with a solution! I decided to dedicate one of my note pages to “Online Orders”. 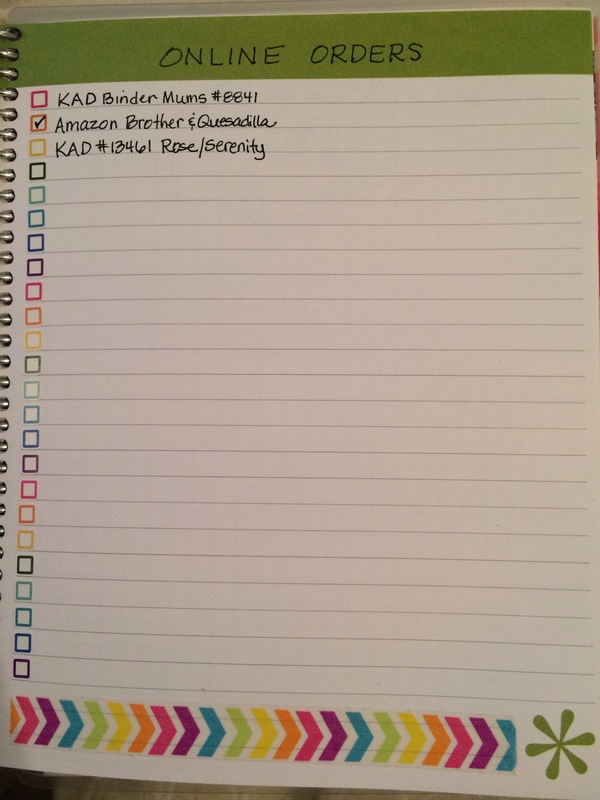 I used tiny checkbox squares from http://www.krissyanne.com (they are out of stock right now but will be back in stock sometime in January), and made myself a cheerful list for keeping track! Of course you could just draw boxes too! Then I decided that I needed more boxes in case I placed more orders than 24 in a year, so I added another row! A bit of rainbow Washi tape across the bottom, and the page is ready to go!! 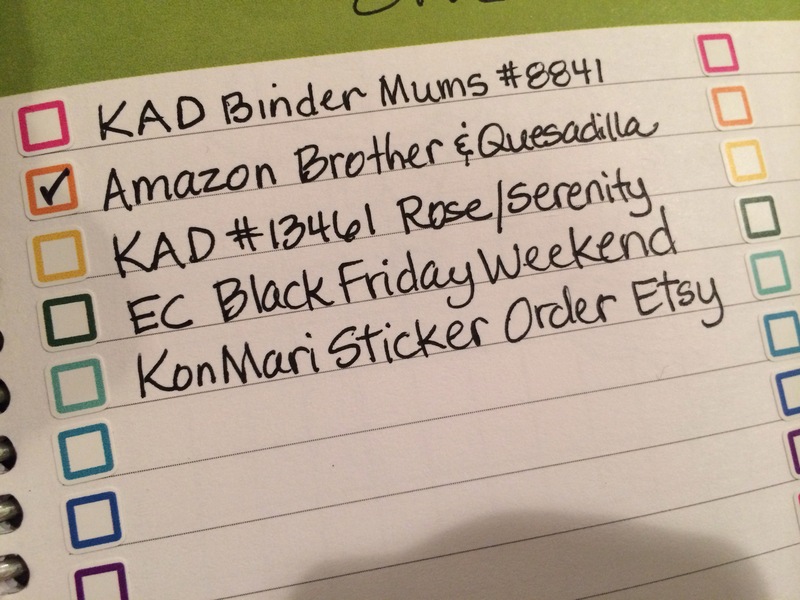 Then I remembered a few more items I had ordered, and added them to the list! Now, when I place an online order, I’ll be sure to jot it down on this page, and then check it off once it arrives. I found this one too! Enjoy! 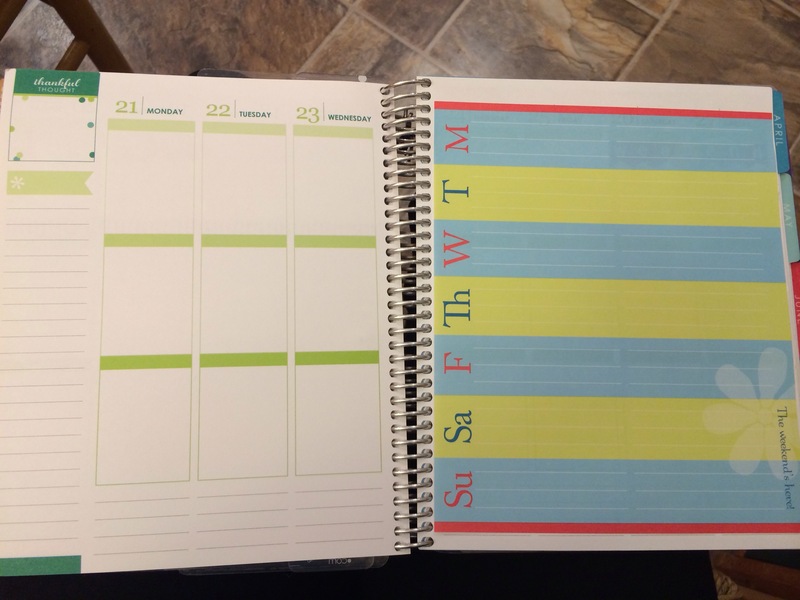 I’m so excited about the newest hourly layout that I’m not sure how I’m going to wait till June to order mine for the following academic year. In the meantime, I’ll continue enjoying my vertical EC. It’s been a good 1/2 week so far! Shops are tagged on my IG account. I found this photo in one of the groups today. I think this will be very helpful to many people! !